The team has completed the most difficult robot build we have faced so far; this year’s task is extremely challenging. 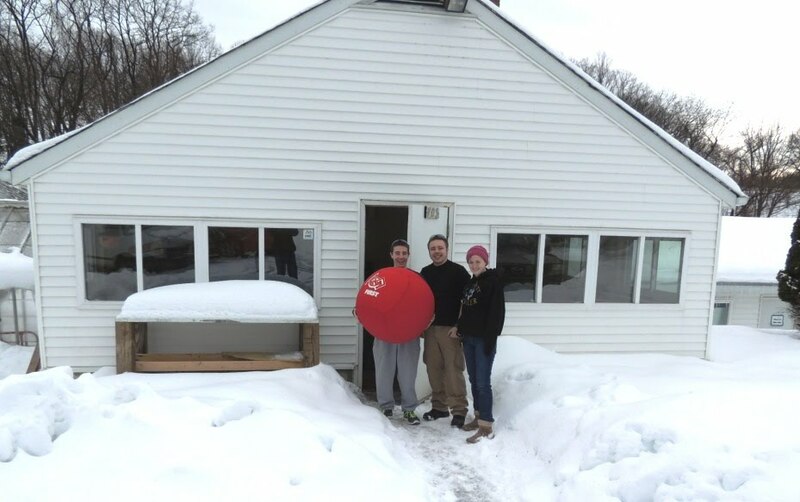 If having a hard build wasn’t enough this year we had to overcome power outages, school day cancellations and snow storms (and more snowstorms!). Here are some team members and our college mentor, Bridget, outside our build shop on the campus of Arcadia University. Immediately after the game was announce we held a brain storming session at St. Joseph’s University where we went over the game rules and came up with ideas. The team explored various ideas including sling shots, catapults, cross bows, monster potato guns, pneumatic kickers and pitching machines. We prototyped various ideas over the first few weeks of the build. 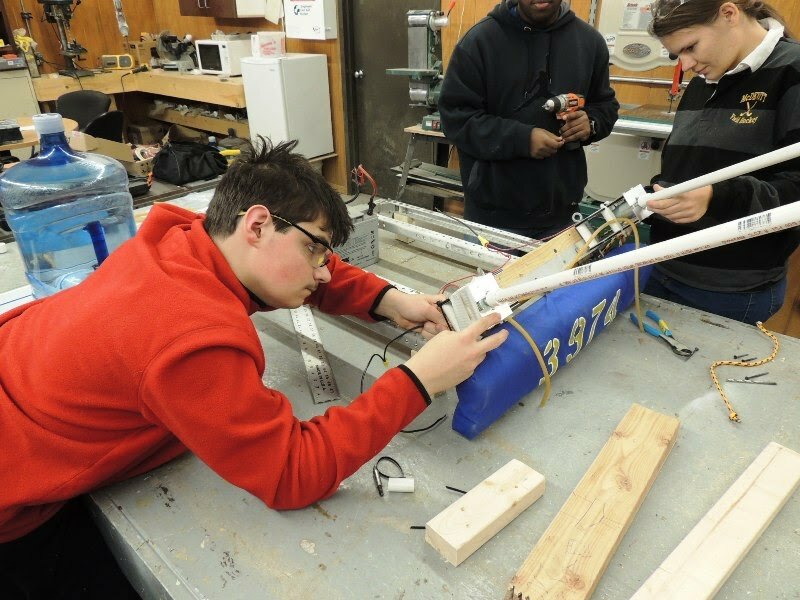 It came down to 2 competing designs: a kicker design that would use pneumatics and hit the ball like a volley ball serve vs. a catapult design that would throw the ball. The catapult design was eventually chosen. Here is the team with our catapult prototype. 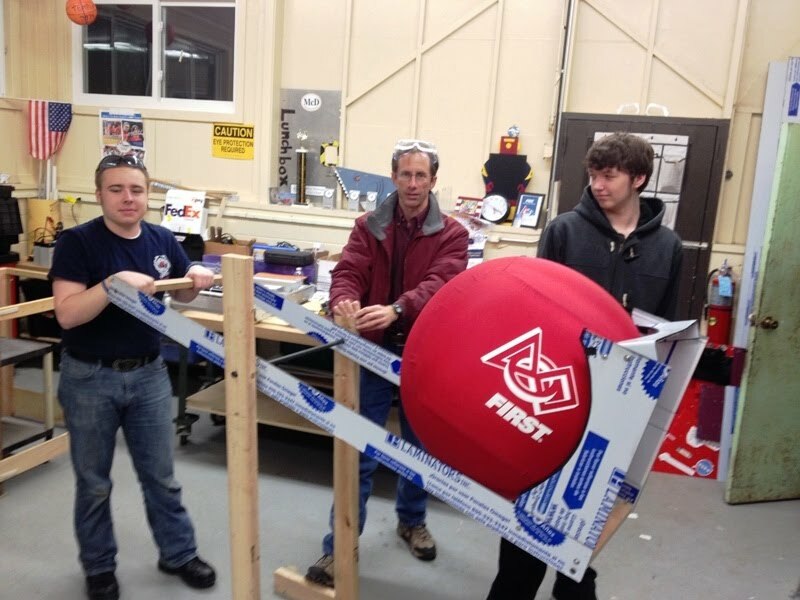 Here some of the team is working on a prototype of the ball pick up assemble. 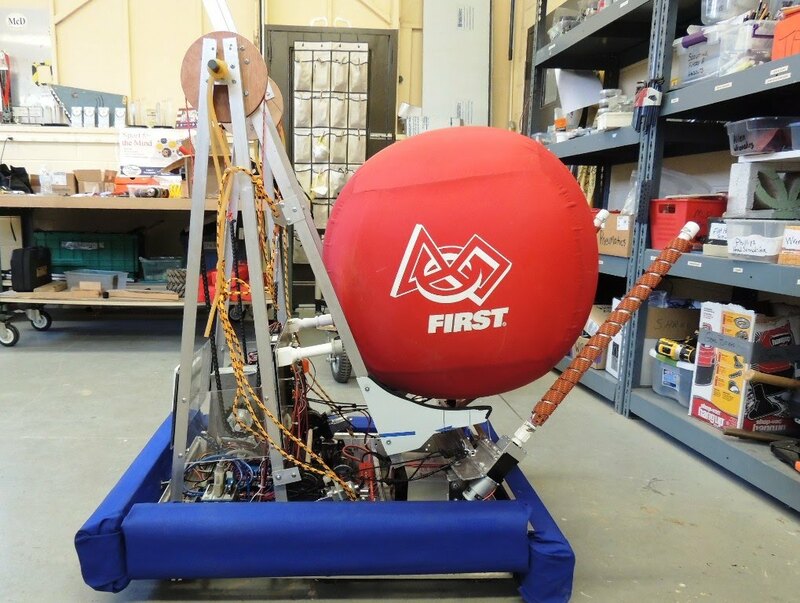 The final robot uses the spinning poles in front to pick up the ball. The ball rests in a cradle until the operator presses the launch button. The launch button fires a 4 motor gear box that pulls down on a chain attached to gear at the top of the A frame, catapulting the ball 10 feet in the air and 20 feet down range. Our first competition is Saturday and Sunday at Hatboro Horsham High School. There is never an entrance fee and you are always welcome to join us. If you let us now you are coming we will be on the lookout for you. Feel free to bring your children, grandchildren, nieces, nephews!